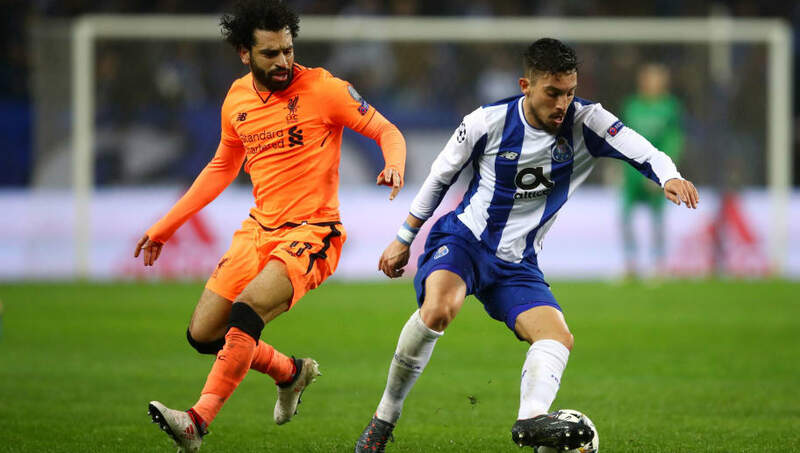 Liverpool's Champions League hopes have gained an unexpected boost as Porto defender Alex Telles went down with a freak injury at the weekend. The Reds are set to take on the Portuguese side in the first leg of their Champions League quarter-final fixture in just 10 days, and it looks like the Brazilian full-back will not be fit for the clash. Liverpool advanced from the round of 16 when they convincingly defeated Bayern Munich at the Allianz Arena 3-1 courtesy of a two-goal performance from Sadio Mane and a third by Virgil van Dijk. Porto escaped Roma in the second leg of their fixture when Telles stepped up and slotted home a penalty for his side in the 117th-minute. Alex Telles diagnosed with Hip Bursitis, which can take weeks to heal in bad cases in general, but an athletes recovery time should be shorter. Telles has been a key player for Porto this season and has proved very reliable from 12 yards out. With just a week and a half until the quarter-final match with Liverpool, Telles is already a major doubt for his squad with the Liverpool Echo reporting that the Brazilian injured his hip taking a spot-kick for his side in their previous match against Braga. The 26-year-old defender stepped up and scored from the penalty spot for Porto in the 69th minute of the match but instantly went down with an injury after striking the ball. Telles grabbed his hip and was immediately substituted out of the match in favour of Fernando Andrade dos Santos. The injury will come a huge blow to the Portuguese side as Telles has been their main spot-kick taker in the last few months. Telles converted from the spot four times for Porto in just the month of March and if he is not fit for the match it will likely be Francisco Soares to step up and take a penalty if one is awarded during the match. Meanwhile, Jurgen Klopp has fielded a full squad in training for the first time all season with Alex Oxlade-Chamberlain and Joe Gomez's return to fitness. Liverpool take on Southampton in the Premier League on Friday before they host Porto at Anfield on 9 April for the first leg of the quarter-final clash. Porto will have two matches this week before the all-important match against the Reds in the Champions League.